First and foremost, let’s get familiar with cryptocurrency exchanges. Cryptocurrency exchanges are websites which allows you to buy, sell and exchange cryptocurrencies for other digital currency or fiat currencies like USD or Euro. If you are very well versed in your crypto investment game and are used tot rade professionally, you will likely need to use an exchange platform that requires you to open an account and verify your identification. However if you are relatively new to the realm of cryptocurrency as a beginner I advise to start with platforms which do not require you to open an account. These exchanges are usually very straight forward and you can start tradingoccasionally until you get the hang of it. These are websites that connects buyers and sellers where they charge certain fees for a completed transaction. These platforms offer direct person to person exchange. You may exchange with individuals from different countries as well asdifferent currencies. Direct trading does not necessarily adhere to the market price, as the individuals trading may set their own exchange rate. 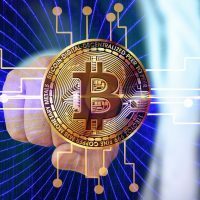 These are websites that anyone can visit to purchase cryptocurrencies. However, the price is set by the broker. Cryptocurrency brokers are similar to foreign exchange dealers. Before making your first trade, it’s important to take note of these 5 key information to minimize your risk and maximize your return on investment. Before you start your exchange on your selected site, ensure you’ve gathered sufficient information regarding the site such as reviews from professional traders as well as well-known industry websites. You may also join forums that discussescryptocurrency issues such as Bitcoin Talk or Reddit. Most exchanges will have fee-related information on their websites. Before joining any sites, ensure you have understood the exchange jargons, deposit, transaction and withdrawal fees. Fees may vary according to the exchange you choose. Take note of the payment method available. Does the site use credit and debit card? Wire transfer? PayPal? If a particular exchange has very limited payment methods then it may not be convenient for you. Always remember that purchasing currencies via credit card will always require an ID verification and it comes with a premium price to increase the security measures. Meanwhile, purchasing cryptocurrency via wire transfer will take longer as it takes time for banks to process. exchanges from any sort of money laundering. Do not be surprised that different exchanges offer different rates. Therefore, always remember to shop around and to not immediately settle on an exchange. 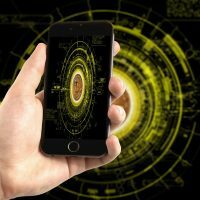 This makes a big difference on your investment as cryptocurrencies are known to fluctuate in value up to 10% and even higher in some circumstances. As cryptocurrency is gaining more attention around the globe, there is a vast array of exchange platforms to choose from. But not all exchange platforms are created equal. These are the top 5 most visited exchange platforms in no particular order. The platform allows you to exchange currencies like Bitcoin, Ethereum, and recently, Litecoin. They also have a digital wallet that is available on iPhone and Android. However, the selection of tradable currencies are dependent on the country you live in. Currently, Coinbase only allows transactions in the US, Europe, UK,Canada, Australia and Singapore. The method of payment is also quite limited and restricted to bank transfers, credit/debit cards and PayPal. To get started, all you need to do is to sign up for your account and you are good to go! The second platform is Kraken. Kraken is the largest Bitcoin exchange in euro volume and liquidity and is the first partner in the cryptocurrency bank. 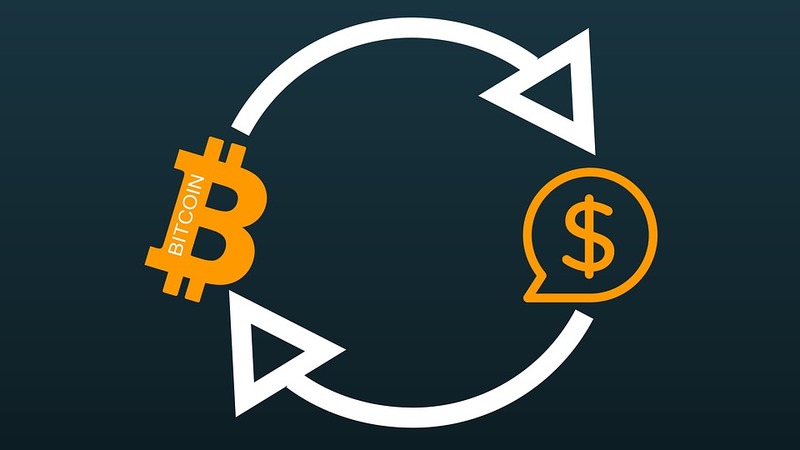 Kraken allows the exchange of Bitcoins, where you are also able to trade Bitcoins and euros, US Dollars, Canadian Dollars, British Pounds and Japanese Yen. Kraken also allows the trade of other digital currencies such as Ethereum,Monero, Ethereum Classic, Augur REP tokens, Litecoin, ICONOMI, Zcash and many more. Kraken also caters towards more experienced users where it offers margintrading and other advanced trading features. Cost wise, Kraken has very decent exchange rates, low transaction fees as well as minimal deposit fees. However, like Coinbase, the payment methods are also very limited. Kraken is also more suitable for advanced traders and investors and it may be a little difficult for newcomers as it has an unintuitive user interface. To open up a basic account to start trading, you need to sign up for your account on their main page where it requires your personally details. A more advanced account additionally requires a government issued ID and a proof of residence. The third exchange platform is Cex.io. This platform enables its users to easily trade fiat currency with cryptocurrencies and vice versa. For traders looking to trade Bitcoins professionally, the platform offers personalized and user-friendly trading dashboards and margin trading. CEX also offers a brokerage service which provides inexperienced traders a very simple way to purchase Bitcoins according to the market rate. CEX is avery practical mobile product where it is supported worldwide and has a very decent exchange rate. However, depositing currencies in your account is quite expensive. To start your trading on CEX, you need to head on to the mainpage and sign up for your account. It also supports the exchange of multiple cryptocurrencies including Bitcoin, Ethereum, Monero, Zcash and many more. However, it does not allow fiat currency exchange with cryptocurrencies and the payment methods are very limited as users are not allowed to purchase their digital currencies withdebit/credit cards or any other payment system. Payments are to be done via cryptocurrencies only. Last but not least is Poloniex. This platform, btw., is the one I trade on, offers a secure trading environment with more than 100 different Bitcoincryptocurrency pairings and advanced features for professional investors. Poloniex has a fee schedule for all its traders. Therefore, the fee that is charged varies depending on if you are a maker or a taker. Makers are traders who displays their orders on the order prior to the trade. Takers are users who “takes” the makers order. For makers, their fees range from 0 to 0.15% depending on the amount traded. For takers, fees range from 0.10 to 0.25%. The reason why the fees vary is because maker-taker model encourages market liquidity by rewarding the makers of that liquidity with a fee discount. In order to start trading, you have to sign up for an account on Poloniex’s mainpage. To start investing, you have to firstly possess a digital wallet. Then, shop around for suitable exchange platforms according to your preferences. The main factor to take into account before starting your investment is to acknowledge whether you are an active or passive user of cryptocurrency, are you in it for the short-term, or the long-run? There is another very good exchange called Bitstamp, they offer a free account and you can deposit FIAT Money via Creditcard or Bank Transfer. You also can withdraw your Money via Bank Transfer or directly to a Debit Card provided by Bitstamp. 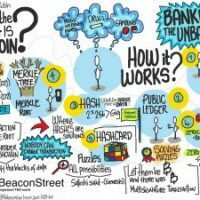 Your ryptocurrency can be withdrawn to any other account, or to a Ledger Wallet. Bitstamp has a very intuitive User Interface, and all deposit and withdraw options a preconfigured and easy to find and use.